Thyroid problems are a growing mega-trend in America RIGHT NOW. You may have heard that your thyroid controls metabolism and works as the body’s thermostat, but what is it? It is the thyroid gland, lying in front of the throat below the Adam’s apple and just above the breastbone, which regulates the rate at which the body utilizes oxygen and controls the rate at which various organs function and the speed with which the body utilizes food,” Broda Barnes, M.D. in Hypothyroidism: The Unsuspected Illness. If this describes you, it might be a good time to THYROID PROOF your diet! 1) Add an abundance of “whole animal” proteins. Why? Your body (especially your liver) needs the amino acid balance that is achieved when you eat the “whole animal.” When you eat only particular proteins from the animal, for example, mostly just muscle meats, your body trends toward inflammation! 2) Include more nutrient rich sources of sugar (aka carbohydrates). If the word “sugar” is scary to you or you have blacklisted it from your diet, you might want read this for some context. 3) Add more pro-thyroid saturated fats like coconut oil and butter, and the elimination of unsaturated fats (PUFA), as they suppress thyroid function. 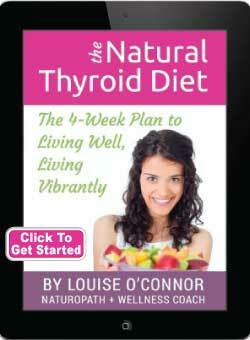 Coconut oil is very pro-thyroid food. 4) Eat meals that support blood sugar balance. Poor blood sugar handling causes the adrenal glands to release stress hormones and signal the liver to break down proteins and fats for energy. This process releases amino acids that are anti-metabolic to our thyroid. “Muscle catabolism also releases a large amount of cysteine, and cysteine, methionine, and tryptophan suppress thyroid function,” Dr. Ray Peat, PhD. 5) Get the undigestable foods out of your diet (especial soy products), and instead focus on easy to digest foods. 6) Adopt a nutrition plan that gives you enough food and calories to support your body’s cellular metabolism and energy production. 7) Reduce stress and get enough SLEEP. If you struggle with insomnia, these tips are for you! But WAIT — What About Taking Thyroid Hormone Instead? I personally think taking thyroid hormone without a solid nutrition plan is a dangerous game plan. Why? Because hypothyroidism can be self-induced by not meeting your body’s energy needs (ie. dieting and/or over exercising)! Do you like credit cards? They have the amazing ability to let you spend money that you may or may not have. They can be an incredible tool for getting things you want, but they can also be very dangerous if the right money management is not in place to back up what you are “spending”. So let’s talk about why I see taking thyroid hormone as like using a credit card! What is the problem here? If you take thyroid medication without addressing the root cause behind it, which is most often a nutrient and cellular energy deficient, you are essentially purchasing that “increased energy” with a credit card! If your body doesn’t have the nutritional stores to pay for that energy, that thyroid medication could be digging you deeper and deeper into a nutritional deficit. I’m not saying that all thyroid replacement is bad, not at all. I do think there is a place for it, especially for those who have had their thyroid removed, and need it (and other exceptions). The message I am trying to get across is that if your energy is low, then there is a nutritional aspect that needs to be addressed. First. If you’re ready to build your nutritional wealth with real food therapy so you can support your energy production and thyroid function naturally. 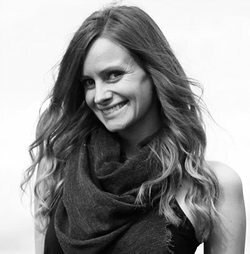 Catherine Crow is a Certified Nutritional Therapy Practitioner based in Seattle, but she works with women virtually around the globe. Her most recent areas of study include coursework through the Nutritional Therapy Association, coupled with independent study of the both brilliant and mystifying Ray Peat, PhD (Endocrinology). Her philosophy borrows from that of Weston A. Price, Francis Pottenger, and the endocrinology research of Dr. Ray Peat. Her passion is education. Her goal is to help guide you to improve your nutrition through strategic eating (not dieting) and without expensive supplements! Because when you know better, you can feel better! Follow her on Twitter, Facebook and check out her website, ButterNutrition.com. Don’t miss her book on Amazon: Nutritionally Wealthy Recipes: More Nutritional Bang for your Buck! Questions or anything to add about nutrient deficiency and thyroid? We want your thoughts in the comments section–Please! You might just help someone else in need.